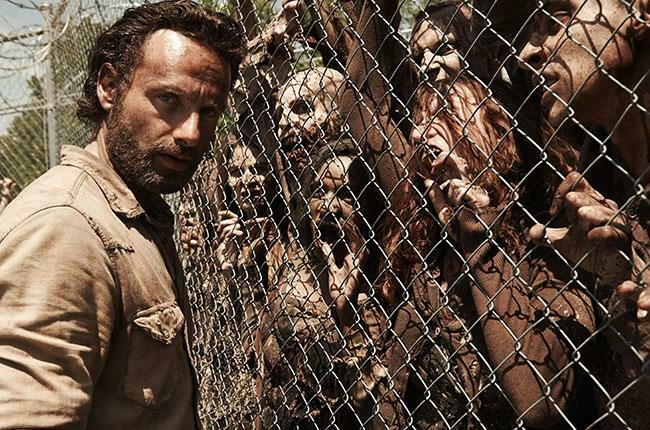 Before the fifth season has even aired, AMC on Tuesday officially renewed The Walking Dead for season six. It's a move that should surprise no one, and shows just how much faith the network has in the apocalyptic zombie hit, which got back to true form in season four. The first episode for the upcoming season is scheduled to air on Sunday, Oct. 12, at 9 p.m. According to Variety, The Walking Dead has become the highest-rated show in cable history, trending particularly well with adults between the ages of 18 and 49. With the season five premier just days away, that trend will likely continue, especially given the events that lead up to Sunday's episode. Scott M. Gimple is set to return as the showrunner and executive producer, with Robert Kirkman, who created the series, also set to return. As if that isn't enough good news for The Walking Dead fans, a proposed spinoff series has already been given the green light, and is set to feature an entirely new cast of original characters created by Kirkman. We've seen how successful spinoff series' can be with Telltale's The Walking Dead game, and it seems those involved want to capitalize on that hype. It's unclear when the new pilot will air, though two new seasons featuring the current cast should tide fans over just fine.